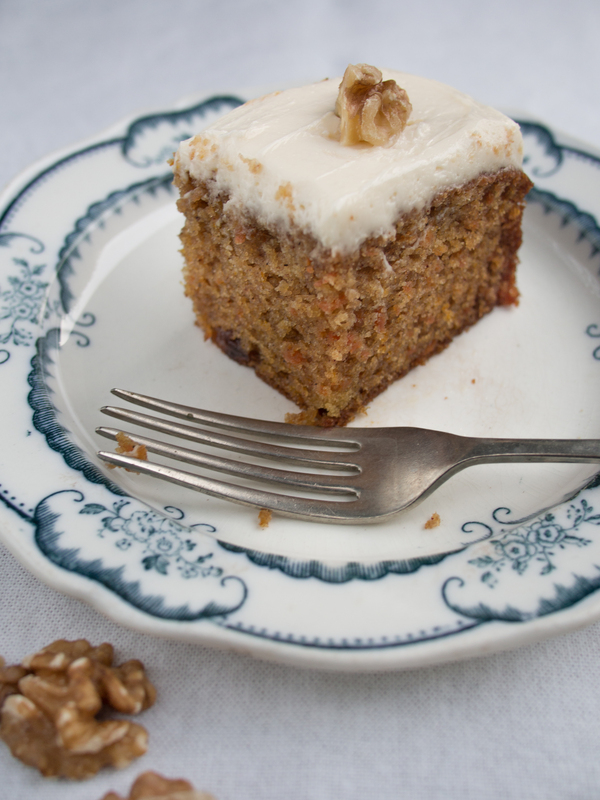 My carrot cake is quite legendary but I have to be honest…..I have barely strayed from the original recipe. There are some recipes that you find and they are so good you daren’t change them. 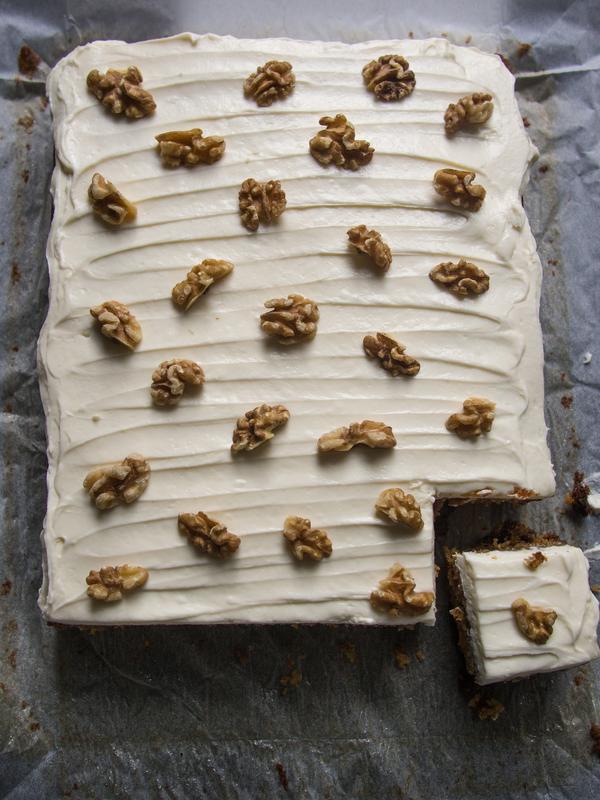 I have tweaked this carrot cake from BBC Good Food as much as I dare for fear of detracting from its amazingness. I have also added a not too sweet cream cheese icing but you can stick to the original glace icing if you prefer, which also keeps the cake dairy free. I doubled the original recipe to fit a 20x30cm tray bake tin. Halve the following if you want to make an 8″ round cake and bake for 30-45 minutes. This cake keeps well in the fridge for up to 5 days and improves after a day or so if it lasts that long! Bring to room temperature before serving. A note on the icing – From experience, only full fat Philadelphia will stay on the cake. I have tried every other brand of cream cheese and they do not have the same consistency as Philadelphia so i recommend you only use this unless you want dripping icing running off the cake. The butter must be very soft and beaten with a hand mixer before adding the chilled Philadelphia. Do not bring the philly to room temperature! Preheat the oven to 180C/Gas 4/fan 160C. Oil and line the base and sides of a 20x30cm tray bake tin with baking parchment. Zest the oranges into a large mixing bowl reserving half a teaspoon of zest for the icing in a medium mixing bowl. Add the sugar to the bowl with the zest, pour in the oil and add the eggs. Whisk to combine. Stir in the grated carrots, raisins and walnuts. Mix the flour, bicarbonate of soda and spices, then sift into the bowl. Lightly fold all the ingredients until the flour is just amalgamated. The batter will be quite runny. Cream the butter with the remaining orange zest using an electric hand whisk until very soft. Add the chilled Philadelphia and mix again until completely combined. Add the icing sugar, gradually mixing on a low-speed until fully incorporated. Spread over the carrot cake and serve.